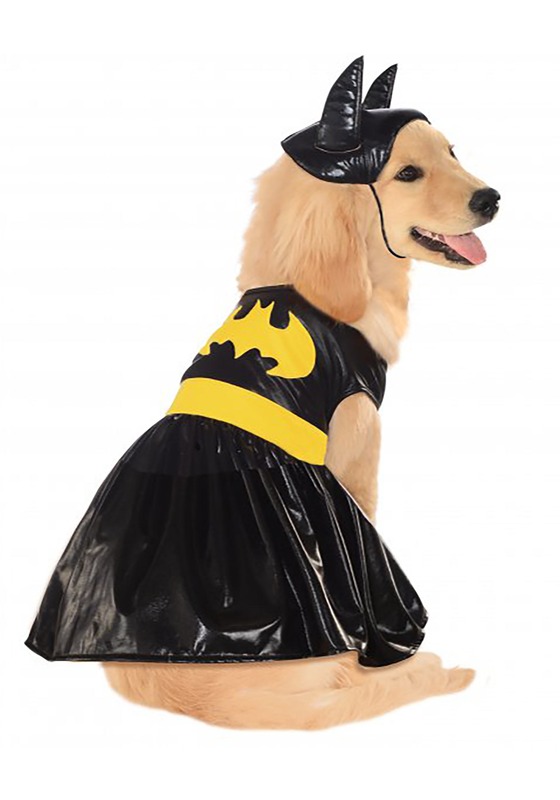 While Batgirl had a dilemma about her name, your pooch will sure look like a Batdog in this Batgirl Pet Costume! We know your dog is a hero in your eyes. Every day you come home from work, she's right there ready to make you feel better. Sure, she might not be able to use a grappling hook or a Batarang, but she deserves the kind of respect other Gotham superheroes deserve! This Batgirl Pet Costume lets your puppy look like the hero you know she is! The dress part of the costume is shiny polyester and encloses with Velcro on the chest. The headpiece has a drawstring so it stays on your pet’s head through all of her crime fighting adventures!